This is Holy Saturday: the day of God’s concealment, the day of that unprecedented paradox we express in the Creed with the words “He descended into hell”, descended into the mystery of death. On Good Friday we still had the crucified man to look at. 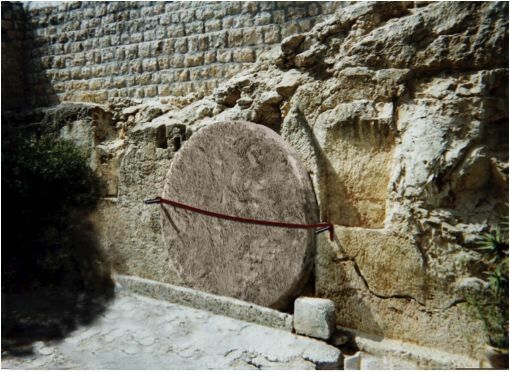 Holy Saturday is empty, the heavy stone of the new tomb is cover the dead man. It is over. The faith seems to have been definitively unmasked as fantasy. No God saved this Jesus who posed as his Son. Holy Saturday: the day God was buried. Is not this the day we are living now and formidably so? Did not our century mark the start of one long Holy Saturday, the day god was absent, when even the hearts of the disciples were cast into an icy chasm? ….God is dead and we killed him. Are we really aware that this phrase is taken almost literally from Christian tradition and that often in our viae crucis we have made something similar resound without realising the tremendous gravity of what we said? We killed him, by enclosing him in the stale shell of routine thinking. By exiling him in a form of pity with no content of reality, lost in the gyre of devotional phrases, or of archaeological treasuries. We killed him through the ambiguity of our lives which also laid a veil of darkness over him. This confession of Holy Saturday means that Christ passed through the door of solitude, that he descended into the unreachable and insuperable depth of our condition of solitude. This means, however, that also in the extreme night which no word penetrates, when we will all be banished and weeping, there will be a voice that calls too us, a hand that takes our hand and leads us on. Man’s insuperable solitude was overcome from the moment He entered it. Hell was conquered from the moment love entered the region of death and the no man’s land of solitude was inhabited by him. In his profundity, man does not live by bread alone. In the authenticity of his being he lives by the fact that he is loved and is given the faculty to love. From the moment there is the presence of love in death’s sphere, the life penetrated death. Life is not taken from your faithful people, O Lord, but is transformed.